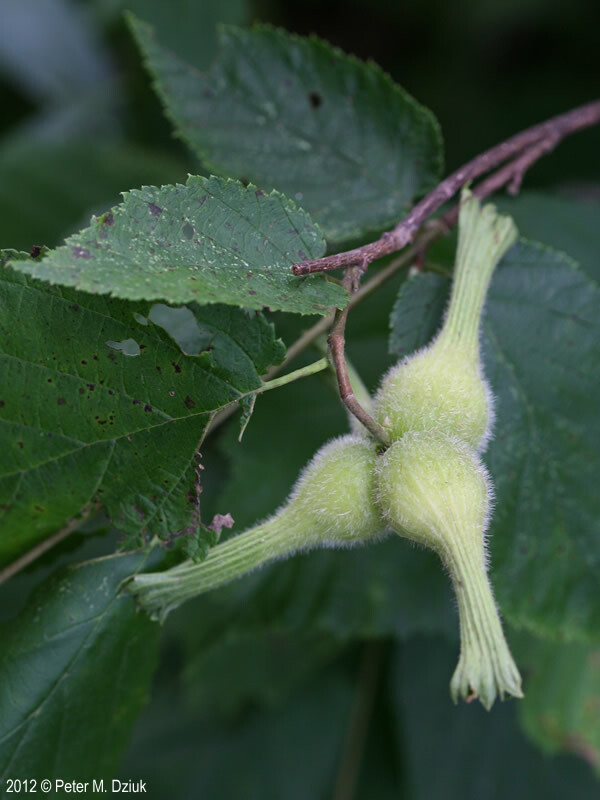 Corylus cornuta fruit. 2012 © Peter M. Dziuk. Minnesota Wildflowers. minnesotawildflowers.info (Accessed 1/2018). Corylus cornuta is a shrub to 3 m tall, young twigs hairy, older twigs smooth. Leaves alternate, oblong, coarsely double toothed, stalk hairy. Flowers sexes separate on same plant (monoecious). 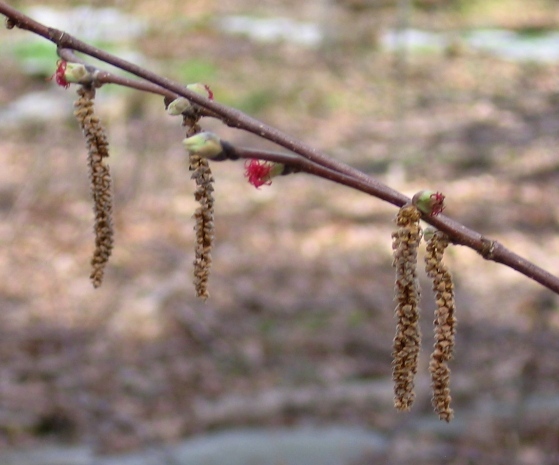 Male catkin short, stalkless, female flowers red, small, March-April. Corylus cornuta male and female flowers.M. B. Gargiullo (ca 2010). Fruit a nut enclosed in densely hairy bracts with long beak. Habitat: Moist woods, edges. Soil pH 6-7.5. Tolerant of shade. Moderately tolerant of drought, soil compaction. Intolerant of salt, flooding (Hightshoe 1988).